Happy Belated Mother’s Day to all of you mamas out there! My Mother’s Day was spent wrangling a certain little boy who was both tired and restless for the majority of the day. My husband was kind enough to take Jack with him on some morning business so that I would be able to shower and get ready without simultaneously entertaining a baby. The plan backfired however, as the last thing Jack wanted to do after a two hour errand run with Daddy was sit in a highchair at brunch (or a lap or carrier for that matter). Needless to say, brunch was fast and furious. My husband and I also completed some projects around the house (he did the work and I provided quality control) on Sunday, and our little man enjoyed showing off for the grandparents… Jack is now pulling up and taking steps with the help of his his little tikes Push and Ride Racer, which has pushed him over the edge into to full-blown maniac territory. 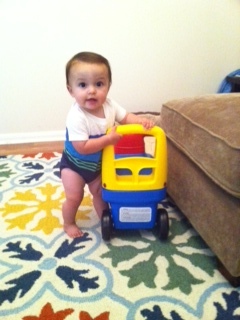 A month or so ago, I wrote a blog post about my favorite necessities for an older baby. One of those items was an adorable diaper clutch by Caught Ya Lookin’. 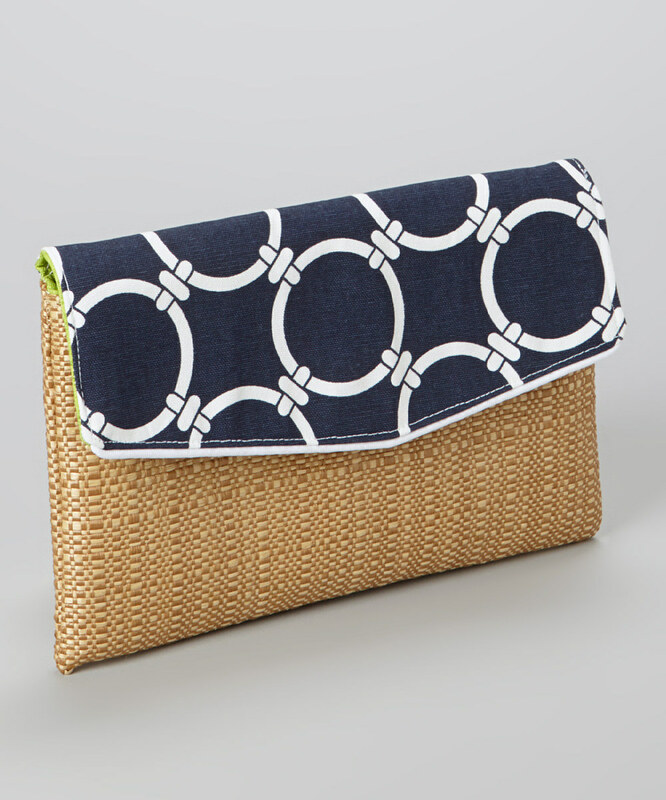 This diaper clutch is the ideal size for a quick trip out of the house, and the nautical-inspired pattern is perfect for summer. Little World Organics is giving this very diaper clutch away to one lucky Facebook friend this month! To enter for your chance to win, fill out an entry form on our Facebook page under the Wufoo tab labeled LWO May Giveaway. To qualify for an extra entry, pin your favorite LWO product on Pinterest and mention us in the description. This entry was posted in products and tagged baby products, baby shower gift, diaper bag, diaper clutch, giveaway, Mother's Day. Bookmark the permalink.